Professor of Management, Babson College and Professor of Strategy and Organization, Emeritus, IMD International, Lausanne, Switzerland. Babson College and Professor of Strategy and Organization, Emeritus, IMD International, Lausanne, SwitzerlandBabson College and Professor of Strategy and Organization, Emeritus, IMD International, Lausanne, Switzerland. J.B. Kassarjian has been Professor of Management (1980 – ) at Babson. He has also been Chairman of the Management Division at Babson (1981-1987). He has held a joint appointment, as Professor of Strategy and Organization, at IMD (1989, and as Emeritus since 2001.) Prior to joining Babson and IMD, he was on the faculty of the Harvard Business School, and he was also involved in establishing Harvard-related graduate management institutes in Iran and the Philippines. 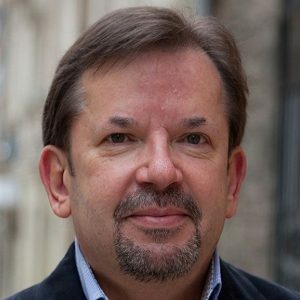 He has served as consultant to organizations (in the Americas, Asia, Europe, and the Middle East), in such areas as leading change, strategic restructuring, and senior management team building. 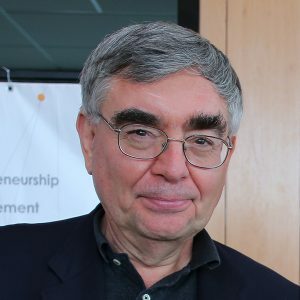 Adrian Slywotzky is an American consultant of Ukrainian origin and the author of several books on economic theory and management. 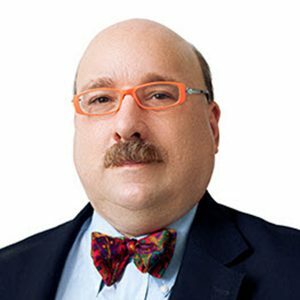 After obtaining his undergraduate degree at Harvard, Slywotzky also received a Juris Doctor from Harvard Law School and an MBA from Harvard Business School. He has worked as a consultant since 1979 and is currently a partner at Oliver Wyman. He is also former Vice President, Member of the Board of Directors at Mercer Management Consulting, which is in top 10 world’s most prestigious consulting firms. Slywotzky wrote several books on profitability and growth, namely the bestselling “The Profit Zone.” He is one of the most renowned consultants of the United Statesand was elected as one of the 20 best consultants in 2008. Adrian Slywotzky is a member of the LvBS Advisory Board. Director of «RR Commodities» in Shanghai. At LvBS he is a lecturer on international business. He spent the last 9 years working in China. He was a representative of Ferekspo in China from 2003 to 2007. Serhiy graduated from the Faculty of Humanities and NaUKMA EMBA CEIBS, and now he is an active alumnus. Areas of business interests include the economy and culture of the Far East region. He has a number of articles in various publications on business topics and Chinese history. He is also one of the founders of the Ukrainian community in Shanghai. Serhiy is a member of The Shanghai Association of Tai Chi (Chen). 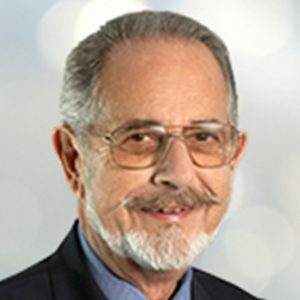 Dr. Joe M. Pons lives in Barcelona Spain, where he founded and is currently President of AXIOMA Marketing Consultants, a firm specializing in strategic marketing projects as well as in the training and executive development aspects that usually go hand in hand with Customer Orientation activities. He earned his PhD at IESE, Barcelona with a doctoral dissertation on the effectiveness of marketing management practices in the branch networks of Saving Banks. For 14 years he was a Marketing Professor at IESE International Graduate School of Management in Barcelona. Currently, his regular teaching assignments include being a Visiting Professor at the IEDC – Bled School of Management. He also lectures at IAE in Buenos Aires, Argentina and Instituto Internacional San Telmo in Seville, Spain and participates in Seminars organized by EFMD and CEEMAN for business school academics. Former Managing Director and Head of Global Telecom Research at Morgan Stanley (1992-2008). #1 Ranked in Institutional Investor (2001-05) and Greenwich Asia-Pacific (1999-2005) polls of global investment managers. Lead equity analyst on US$5.6bn IPO of China Unicom; senior analyst on IPOs for China Telecom, Korea Telecom and Bharti Televentures. Strategic advisor to News Corporation on media, broadcasting and digital investments in Asia (2008-10), and to CA Media on venture capital investments in media and internet (2011-12). Private angel/VC investor in consumer and real estate start-ups (2012-present). Co-Founder & Executive Director of The Sprouts Foundation, a Hong Kong-registered NGO focused on education programs for underprivileged children in Asia (2011-present). Graduated with Distinction from the Honours Business Administration program at Ivey Business School, Western University in London, Canada (1992). Guest Lecturer in Corporate Finance at Ivey Business School (Hong Kong) and HK University of Science & Technology Business School. Vice Rector for administration and financial affairs of UCU. 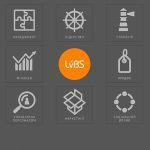 Lecturer of Master’s programs and programs on management development of LvBS. Within the program, he teaches separate topics on the course “The Principles of Finance Reporting and Finance Accounting”. In 2007-2009, he worked at the Investment Department of IP “Universal Investment Group”. In 2009-2010, he worked at the Department of Corporate Finance and Investor Realations of PJSC “Galnaftogaz”. Since 2010, he has been the financial director of the Ukrainian Catholic University. In 2012, he acted as Director of the Ukrainian Catholic Education Foundation in Chicago (USA). Member of the Beneficial Organization “Lviv Education Foundation”. He is involved in the consultancy on issues of the managerial records and budgeting. Since 2008 he has shared his passion for education as Affiliate Lecturer at EMLYON Business School’s Shanghai campus where he teaches core courses and electives on Finance, Strategy and Entrepreneurship. Manmeet has lived in 9 countries across 4 continents and has been based out of Shanghai since 2003. He is fluent in English, Hindi, Punjabi and French with working knowledge of Portuguese. He’s currently improving his Mandarin and learning Japanese. Manmeet holds Bachelor’s degrees in Economics, Physics-Engineering and French from Washington and Lee University (USA) and an MBA from SP Jain Institute of Management and Research (India). An amateur tech geek, he’s deeply interested in consumer technologies and businesses that leverage these. Manmeet also takes his passion for education and entrepreneurship to mentor young entrepreneurs and startups in China and enjoys sharing his professional and personal experiences. On the program MS in Technology Management he is professor of the course «Finance management in service companies». Assistant Professors of Finance. Supervisory Board Member of the Bank Lviv. 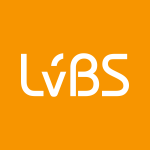 Lecturer of the courses on finance within Master’s programs and programs on management development of LvBS. He worked as Deputy to the CEO, the chief accountant, Director of the Correspondent Relations Department, a manager of the Department of Foreign Currency Exchange Operations at PJSC “Kredobank”, a member of the Executive Board at PJSC “Ideabank” (2011-2012). In 2003, he took practice at BSB Bankcorp.Inc USA. In 2004, he studied Strategic Management at the Joint Vienna Institute (The European Bank for Reconstruction and Development), Vienna, Austria. Adjunct Professor in Statistics & Business Analysis. Head of Business Intelligence consulting. 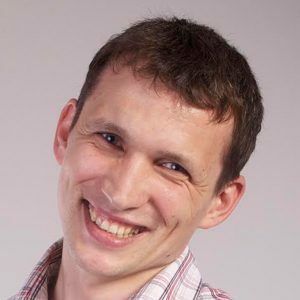 Kostyantyn Patsera consults companies on business analysis and analytical CRM. Before that, he worked as forecasting manager at Business Analysis and Marketing Planning department at Kyivstar. As a result of his work, there were developed and implemented models of segmentation and customer retention as well as numerous models of cross-selling and up-selling. Prior to that, Kostyantyn worked as analyst-consultant at Interpipe, where he performed operational and strategic forecasts. 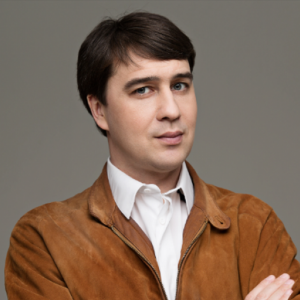 At the moment, Kostyantyn is CEO at Analytical Boutique. 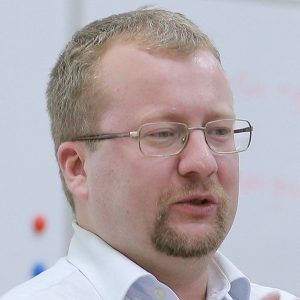 During 2006-2012, Kostyantyn was lecturing at kmbs [Kyiv Mohyla Business School] Business Analysiscourse, which included such topics as marketing research, business statistics, business forecasting, segmentation, qualitative methods for analysis and CRM. He was given the prize as the most demanding and practical lecturer for couple of times. Among his corporate clients are: gas station network OKKO, Kyivstar, Imperial Tobacco company, retail network Klas, network Pharmacy 03, retail network Comfy, consulting company Pro.mova, International Alliance of HIV/AIDs, company Nemiroff, company Grey, Tobacco House Fortune, Roshen, Ernst&Young (Russia) and many others. Olexandra has held key positions in HR and management for more than 15 years. 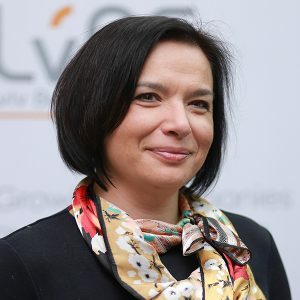 Since 2012, joined Luxoft and today she is a managing director in Ukraine. Oleksandra worked as an expert on the strategic development of the Investment Attraction Office under the Cabinet of Ministers. Olexandra is the academic leader of the program “Master of Human Resources Development and Organization” LvBS and mentor of social projects for the promotion of girls at STEM. 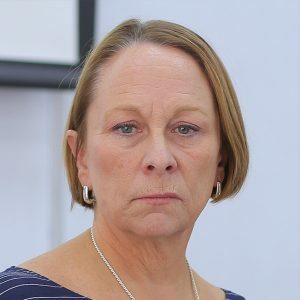 In addition she is a lecturer of the UCU Leadership Center, HR Certified, CIPD Assistant at the Royal Institute of Personnel Development in London, member of the Harvard Business School curriculum. 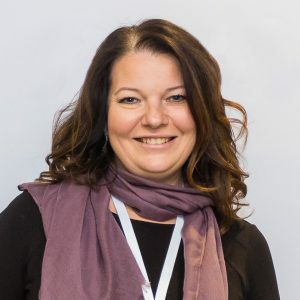 As a professional with more than twenty years of experience, Yaryna specializes in Communications Strategies and Communications in Crisis, has much experience working with enterprises’ executives and holding media training courses. 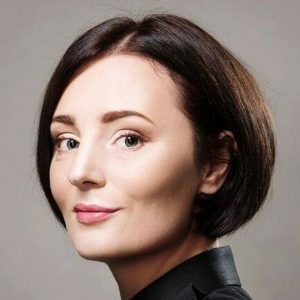 Most of her career she has been managing communications departments of large international companies, such as Microsoft Ukraine, Group DF, UMC (nowadays – МТS Ukraine) and Metro Cash & Carry Ukraine. In the course of twelve months she had worked at Benjamin Group / BSMG Worldwide (currently – Weber Shandwick), a leading PR-agency in the Silicon Valley, the USA. 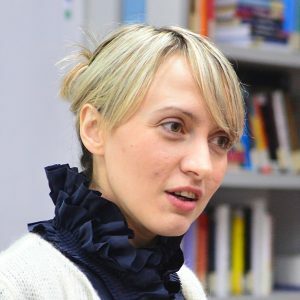 In 2014 Yaryna contributed to the establishment and launch of the Ukrainian Crisis Media Centre. She has also acted as a consulting specialist, counseling dozens of companies’ executives as well as high-powered officials. 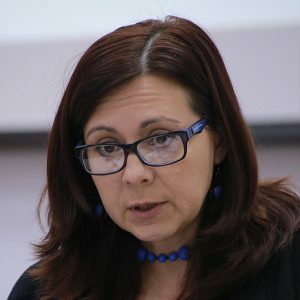 For instance, she acted as an adviser to Aivaras Abromavicius, Minister of Economic Development and Trade of Ukraine. 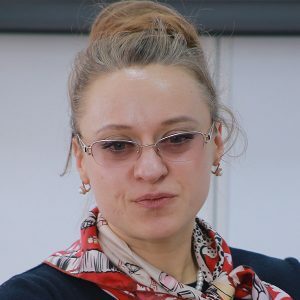 Yaryna obtained her Master’s degree in Culture Studies at the National University “Kyiv-Mohyla Academy” and Master’s degree in Communications at San José State University (the USA). As one of the founders of UAPR (Ukrainian Association of Public Relations), during 2007-2008 she held the office of the chair of its management board. In 2011 the Media Marketing Review journal named her among top ten PR-directors in Ukraine. 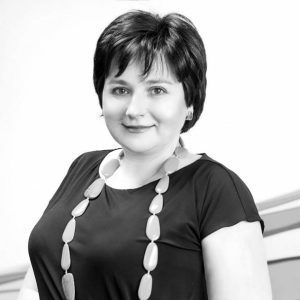 Since 2001 Yaryna has been reading Communications to PR specialists and top persons. Adjunct Professor in HR & OD. Partner, Head of People Advisory Services “Ernst & Young”. Partner, Tax and Legal. 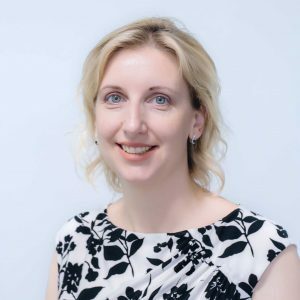 Olga specializes in providing a wide range of consulting services in the field of human resource management – from design and implementation of HR strategies to advice on calculation and payment of salaries and personal tax planning. Olga has being working in “Ernst & Young” since 2002. Before that she had worked for “Arthur Andersen” (1998-2002). 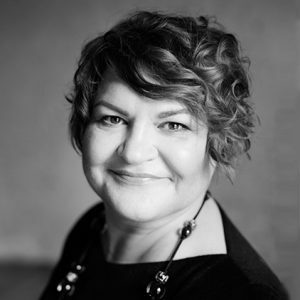 For more than 10 years of work in the field of professional services Olga has advised a number of major foreign and domestic clients. 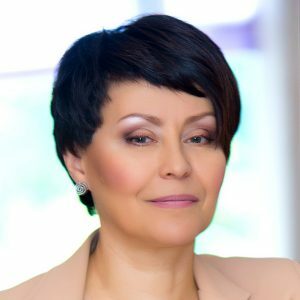 Olga Gorbanovska is a successful business coach and has teaching experience in foreign universities and leading national business schools. Visiting Professor in Organization Development. Professor at the University of St. Thomas in the Organization Learning and Development. 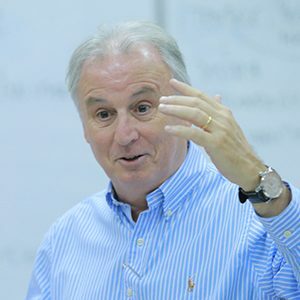 John Conbere is Professor in Organization Development at the University of St. Thomas, in the Organization Learning and Development Department. He is also a visiting professor at National University Kyiv-Mohyla Academy in Kiev, Ukraine, and Université Jean Moulin Lyon 3, Lyon, France. He has been a Fulbright Senior Scholar, and an International Scholar in the Academic Fellowship Program of the Open Society Institute & Soros Foundation. He is on the Editorial Board of the OD Practitioner and the Scientific Advisory Board for conferences at ISEOR (Socio-Economic Institute of Firms and Organizations) Lyon, France. Distinguished Service Professor at the University of St. Thomas teaches and consults in the areas of Organization Development, Conflict Management, and Organizational Culture in USA, France, and Ukraine. Most of her consulting is in education, health care, and non-profit organization. Since 2005 she has organized a program that brings OD consultants to do free OD intervention in Ukrainian organizations. Up to 50 Ukrainian companies benefited from these consulting services. Assistant Professor. Teaching internal communication on the Executive MBA and MAHROD programs at the Lviv Business School (LvBS) (2014-2016). Head of International Outreach, Ukraine Crisis Media Center. Teaching Crisis Communication on the Effective Communication Program at the Kyiv Mohyla Business School (2012-2016). Effective Crisis and Internal Communications for the state-owned enterprises on SOE Reload program at the Kyiv School of Economics. Works as a professor at the Department of Management and International Business at Lviv Polytechnic National University. Enrolled in Virginia Tech (USA) under the Fulbright Faculty Development Program. He was a participant and manager at the institutional level of several international educational projects under the Tempus and Erasmus KA2 programs. A range of scientific interests includes issues of strategic management and taking into account the interests of stakeholders in decision-making. Co-founder and CEO of «Yes&Design» and «Platformedia». Publisher of the Internet magazine, innovation advisor. He was an editor and a journalist up to 2014. In July 2016, he graduated from the JSK Fellowship program at Stanford University, where he studied strategic management, entrepreneurship, basics of venture capital, media business, investment, design thinking, disruptive innovation, and the democracy development. He headed the department of journalistic investigations of the Ukrainian version of Forbes magazine from early 2012 till August 2013. Majored in exposing corruption of the state senior officials: tender, financial fraud, offshore schemes, smuggling, and ownership transparency. After the Dignity Revolution victory participated in the project YanukovychLeaks.org, which was aimed at preserving and providing free access to documents of the former President of Ukraine Viktor Yanukovych that were thrown into the Dnipro river. As a result of the project, more than 20 thousand internal accounting documents of Yanukovych companies were dried up, digitized and posted for open access. At various times in his career, he worked on materials for Thomson Reuters, Buzzfeed, Ukrainska Pravda, Dzerkalo Tyzhnia; Svidomo bureau, «Inter» TV channel. In 2016, together with his wife Kateryna, created a concept and offered the Center for the Democracy and Rule of Law of Stanford University to establish Ukrainian Emerging Leadership Program, an annual educational program for the new leaders of Ukraine, which, starting from the fall of 2017 will accept three professionals in the field of reforms, law, economic development, and entrepreneurship per annum. David Knull is career sales, marketing, and business development professional with 20 years’ cross-industry experience ranging from large corporates to SMEs and start-ups. He has successfully undertaken roles in the USA, UK and in Greater China. He has significant experience in entrepreneurial business development, operations and management. Furthermore, he is a lecturer at Kingston University within the department of Strategy, Marketing and Entrepreneurship and he is a visiting scholar at Beijing International Studies University. David holds a Bachelor of Science in marketing and communications from the University of Maryland and an MBA from Kingston University. 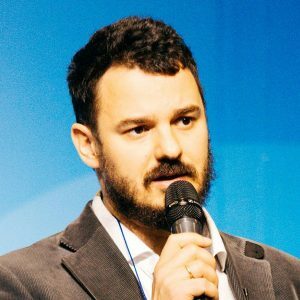 Denys Dovhopolyi is an expert in searching for venture capital investments for Ukrainian projects and an active member and co-organizer of many IT and start-up conferences in Ukraine and abroad. He is one of the constant administrators of the IDCEE conference. 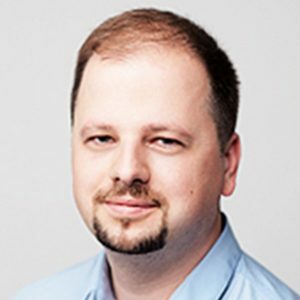 Denys is also the director of BayView Innovation, a venture partner of Viktoria Tihipko ТА Ventures fund. Enthusiast of energy innovations and «green» start-ups, consultant in communication. He has been promoting entrepreneurship opportunities and social innovations, which are opened by renewable energy sector, constant development and energy efficiency, for more than 5 years already. 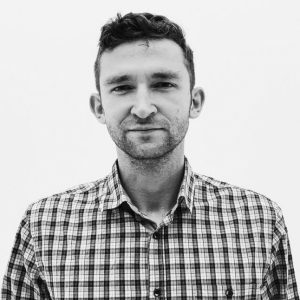 Roman is a head of «Greencubator» network, and as a consultant in communication and presentation art, he, also, leads the direction of preparing the lecturers for the TEDxKyiv conference. The precedence of this was working in PR industry for a long period of time, practice in investment PR and financial communications and transaction support in raising debt funds of the leading Ukrainian investment banks. He also leads a private communicative practice and he is a guest lecturer of Kyiv School of Economics (KSE). He studied at the «Executive Leadership Program» at the Aspen Institute. 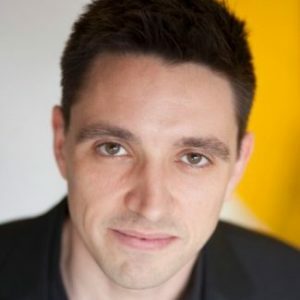 Currently Stephen is the Worldwide Director, Cognitive City Solutions at IBM (NYC, USA). 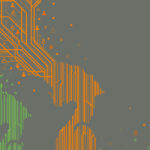 Steve has 30 years of extensive experience designing, developing and deploying worldwide technology and City solutions. 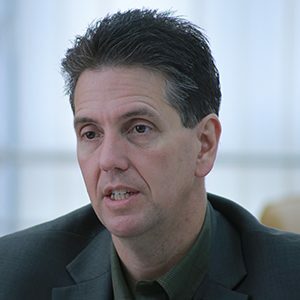 In the past 17 years he has led the creation and growth of IBMs City Solutions, Command Control, Physical Security and Public Safety businesses working closely with city officials and public safety experts from around the globe. Stephen is focused on advanced research of emerging technologies in a variety of segments. Alejandro has 25 years of experience in systems integration, program management and enterprise architecture – helping clients realize significant value from their large, complex enterprise transformations, or merger and acquisition (M&A) transactions. Alejandro is a leader in Deloitte Digital, the leading global creative digital consultancy, helping clients achieve value through the development of integrated digital solutions (e.g., web, mobile, interactive fixtures) – from strategy to implementation, and evolution. 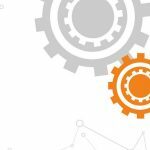 He is the US West regional operations leader for Deloitte Digital, and the national leader for the agile Technology practice. 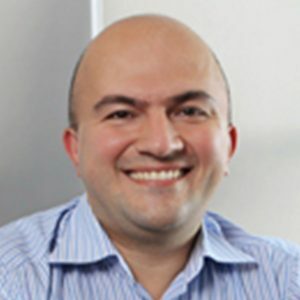 Alejandro has served as a trusted advisor to top executives in Fortune 500 companies in large-scale project management, ERP implementations, custom development, agile development, web-based solutions, service-oriented architectures (SOA) and identity management. 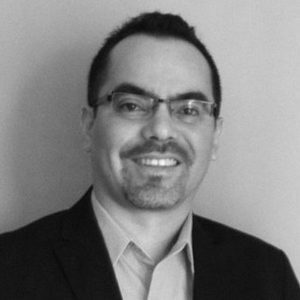 He has assisted High-Tech, Media, Telecom, Financial Services, Oil & Gas, and Retail clients implement integrated digital solutions to address critical business needs. 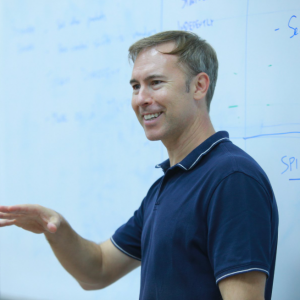 Alejandro holds a Master’s degree in Software Engineering (MSE) from Carnegie Mellon University, and a Bachelor’s degree in Engineering: Systems’ Analysis from the University of Buenos Aires. Faculty, Associate Director of Software Engineering Professional Programs at Carnerie Mellon University. 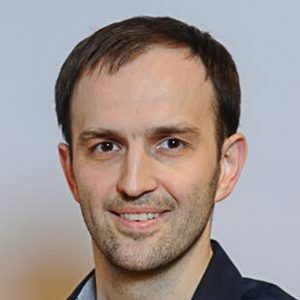 Matthew Bass is a member of the core faculty of Carnegie Mellon’s Master of Software Engineering professional programs and the Associate Director of Software Engineering Professional Programs for Corporate and Alumni Relations. 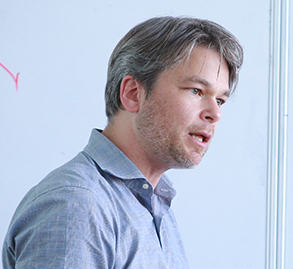 Prior to joining Carnegie Mellon, Matthew was a member of the technical staff for the Software Architecture group of Siemens Corporate Research. 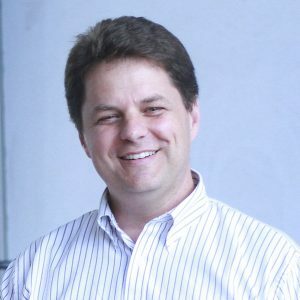 In this role, he taught software architecture classes, mentored Siemens operating companies in software architecture practices, conducted software architecture reviews for critical projects, and acted as a software architect for multiple domains including automotive, medical, building automation, and power distribution. He spent 3+ years as a resident affiliate with the Product Line Systems program at Carnegie Mellon’s Software Engineering Institute. 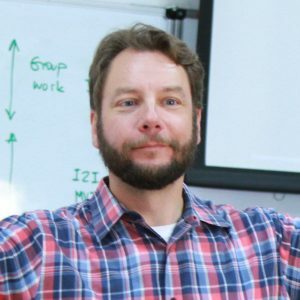 With an undergraduate degree in Computer Science and a graduate degree in Software Engineering, Matthew has been a practicing software engineer for greater than 15 years, working with Fortune 500 companies across a variety of industry domains. His commitments range from local industry consultation to international invited talks and conference participation. Ph.D., University of Alberta, Canada. Master of Business Administration, HEC Montreal, Canada. Master of Biotechnology, University of Sao Paulo, Brazil. Bachelor of Pharmacy and Biochemistry, UFMA, Brazil. 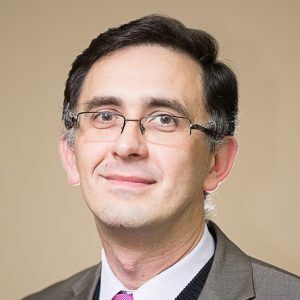 Dr. Hurtado is a faculty member with extensive experience in technology business, strategic management of technology and innovation, cluster-based industry development policies and strategies, business-government relations, and international competitiveness and trade. He has studied, completed internships, and worked with various organizations in Peru, Brazil, Argentina, USA, Canada, France and Japan. Dr. Hurtado’s early career was in the management of hospital pharmacy and clinical laboratory services, after which he spent 15 years in the biotechnology sector. More recently, he was involved in the development and implementation of policies and action plans to develop the bioeconomy/life sciences sector in the province of New Brunswick, Canada and the financial services industry in the province of Alberta, Canada. He is currently Director of Energy Innovation Solutions for the province of Alberta, Canada and Affiliated Professor at CENTRUM Católica Graduate Business School in Lima, Peru. Dr. Hurtado has over twenty years of training in scientific, medical, industrial, economic and policy research. His research interests lie in the intersection of science, technology and innovation management; international competitiveness and trade; economic development; and public policy. Fellow and researcher at IBM‘s Thomas J. Watson Research Center in Yorktown Heights, New York. He received the Perkin Medal from the Society of Chemical Industry (1993), the Vittorio de Nora Medal from The Electrochemical Society (1994), the IEEE Morris N. Liebmann Memorial Award, the Inventor of the Year Award from the Eastern New York Intellectual Property Law Association (2000) and the Inventor of the Year Award from the New York Intellectual Property Law Association (2001). In March 2012, he was inducted into the National Inventor’s Hall of Fame, one of ten inventors (including Steve Jobs) so honored. 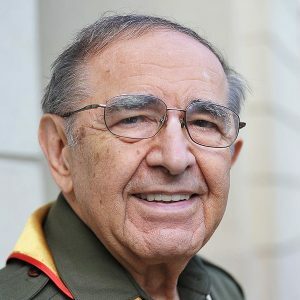 He is active in various organizations, most notably serving as the Nachalniy Plastun (or Chief Scout) of the Plast Ukrainian Scouting Organization. 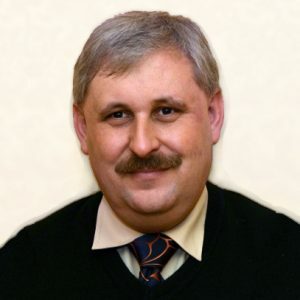 Dr. Romankiw is a member of the Shevchenko Scientific Society, USA. PhD, MBA, CITP, Visiting professor. 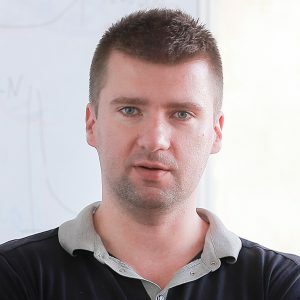 Dr. Serhiy Kovela is a scholar with extensive experience in Business IT and practitioner with expertise in delivering database-driven business software projects, locally and internationally. 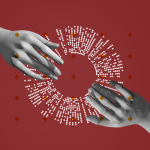 Through academic or commercial work he helps the audience to understand how IT enables and facilitates modern organisations and the efficient ways of deriving business value from technology solutions. 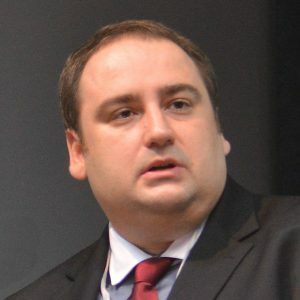 Serhiy Kovela earned his Master’s and PhD degrees from the Lviv Polytechnic National University (Ukraine, Lviv) in 1996 and 2000, respectively. 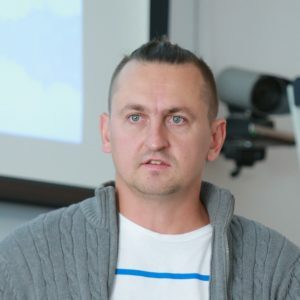 From October 1999 till August 2003 he held Senior Lecturer position at Lviv Polytechnic teaching databases, security in computing and software engineering, as well as engaging in a number of IT consultancy projects as a database software developer and project manager. 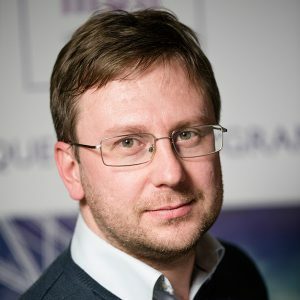 Since September 2003 Serhiy Kovela has been assigned to the Senior Lecturer position at Kingston University teaching Internet systems technologies, global information technology, database systems, project management for technology, strategic project management, and consultancy practice. 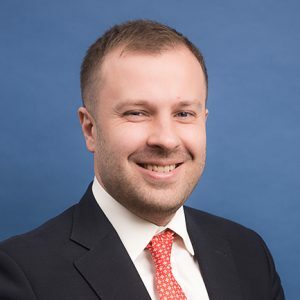 Serhiy has also earned an MBA from Kingston in 2010. 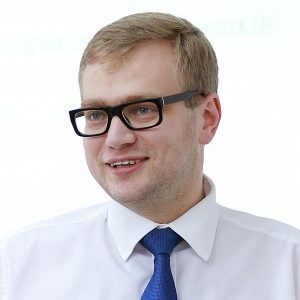 On the program MS in Technology Management Serhiy is professor of the course “Strategic planning and project management”. Education Director at Pacific Aviation Museum Pearl Harbor, in the past – the executive director of international programs and initiatives at Regent University. 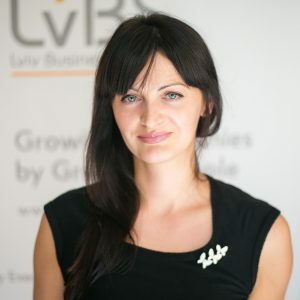 Shauna has taught at the Lviv Business School UCU program of Fullbright Academic Exchange. She helped create this center for teaching and learning, and from 1998 to 2004, she served as executive director. In this role, she pioneered a joint approach to the development of training programs that have been adopted throughout the university to develop innovative educational programs on campus and online. 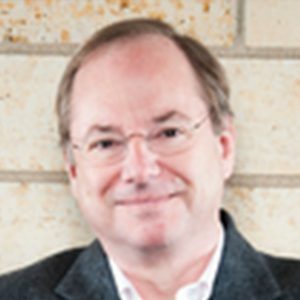 Dr. Tonkin has created a number of faculty and advisory programs on teaching and learning in the global economy. Dr. Tonkin has conducted research on themes of leadership, teaching, training, international education. She teaches courses in leadership, curriculum development and teaching, and learning. She conducts courses both traditionally and online. Shauna regularly highlights these issues to national and international audiences. Dr. Tonkin received Ed.S. and Ph.D. degrees in Educational Leadership at the College of William and Mary in the USA. Vice Rector for Program Development at Ukrainian Catholic University. – 1981 – 1986 – student at History Faculty of Ivan Franko National University in Lviv. Diploma with honours. – 1990 – 1992 – post-graduate student at the Department of History and Ethnography of Ukraine at Ivan Franko National University in Lviv. – 1992 – 1998 – senior research fellow at the Institute of historical research at Ivan Franko National University in Lviv. – 1994 – 2002 – deputy director of the Institute of the History of Church at Lviv Theological Academy. – 2002 – 2008 – director of the Institute of the History of Church at Ukrainian Catholic University. – 2004 – present – Chair of the Department of Church History at Ukrainian Catholic University. – 2009 – present – vice rector in academic work of at Ukrainian Catholic University. Vice Rector for the mission of the Ukrainian Catholic University. 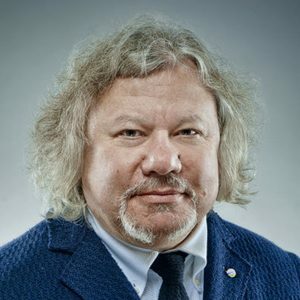 Co-founder of the Ukrainian Helsinki Group and Amnesty International. Miroslav Marynovych repeatedly acted with presentations and lectures on religious freedom in Ukraine, awareness of religious minorities, problems in public sector relationships, spirituality of GULAG prisoners, spiritual problems of today, the identity of the UGCC, military chaplaincy, and ecumenism. 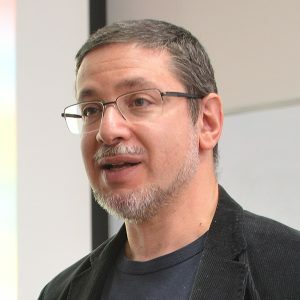 In addition, Miroslav is the author of several hundred articles, essays, expert assessments, comments on socio-political situations, human rights, cultural and religious subjects. He is published in various newspapers, magazines, and collections both in Ukraine and beyond. Partner of Pavlenko & Partners, Attorneys at Law. President of the Nexia Ukraine. Member of Lviv Region Bar Association. 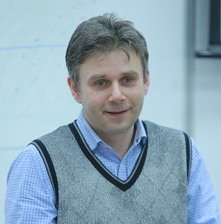 Lecturer of Department of Philosophy of the Ukrainian Catholic University and professor of Lviv Business School of UCU. PhD, president of the Ukrainian Catholic University. 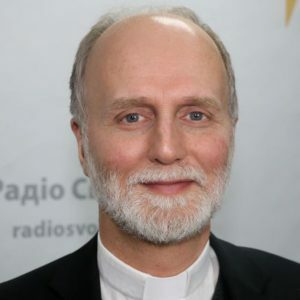 Chief bishop of St. Vladimir parish in Paris, Apostolic Exarch for Ukrainian Catholics in France, Belgium, Netherlands, Luxembourg and Switzerland. 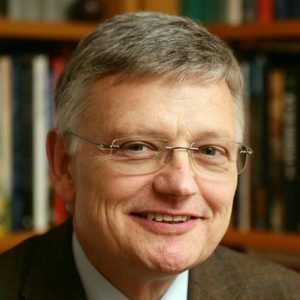 Professor of Christian Social Sciences and Contemporary Ethics, Professor of Moral Theology at St. Lambert Interdiocesan Major Seminary in Lantershofen (Germany). Designer. Founder and CEO of the Gram Agency (founded in 2011) that specializes in branding and UI/UX design. The portfolio of Gram can boast such well-known companies as Yarych, Optimeal, Galicia, Veres, Nestle, LvBS, AVK, Lviv Yeasts, Bandinelli, Rukavychka, Accent, RED, Club4Paws and others. The company’s projects are numerous laureates of national and international awards. Since 2014 has been teaching branding and informational design at the Department of Graphic Design of the Lviv National Academy of Arts. Co-founder of Urban XD, a company that designs information-and-orientation systems for social medium. More than 10 years of work experience in design. 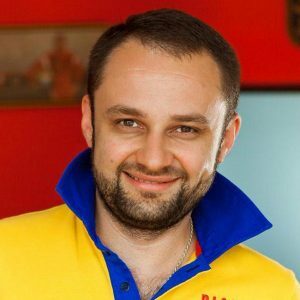 Oleksiy Filanovskiy is a CEO and founder of Filberry.Consulting, a company which helps SME companies and large enterprises better grasp both the concepts of marketing and its common practices. 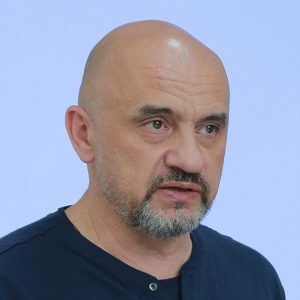 Before starting his own business, for more than twenty years Oleksiy worked as CMO in many Ukrainian private companies in all kinds of fields, built nationwide and international brands, and received industry awards for his work. He has deep expertise in FMCG, retail, e-commerce, C2C and B2G markets. 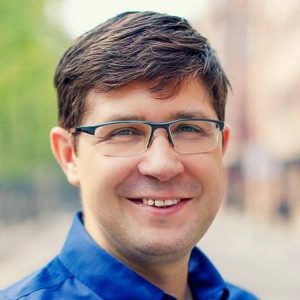 In his capacity as CMO, Oleksiy had assembled and developed 7 in-house marketing teams for both enterprises and SME-level companies, and built brands such as Prime, Istyna, Pryrodne Dzherelo, Snow Panda, Bigl, Shake, Prom, Foxtrot. These brands and companies were, and most still are, ahead of the competition in their markets, and their products are known and loved both in home market and in countries outside Ukraine. 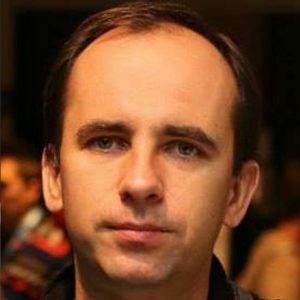 Oleksiy had developed and implemented dozens of successful marketing strategies, achieving unparalleled results. Some of this experience Oleksiy shared in his first book, «The Book of Marketing», a business-reading bestseller in Ukraine. Expert in sales, negotiation, organizational effectiveness, coach and media management consultant. 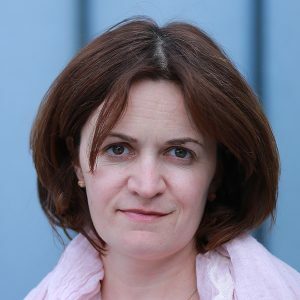 Yuliia has more than 12 years experience in business, worked as Commercial Director of Telegraaf Media Group Ukraine. As a Commercial Director of KP Media, she organized the merger of commercial departments of UMH, KP Media and Digital Ventires, established and managed a sales house Digimedia, was responsible for UMH Digital revenues. 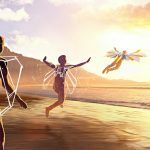 Since 2014 – Director of Business Development, and since 2016 – General Director at StarLight Digital Sales – Internet division of the StarLight Media Holding. 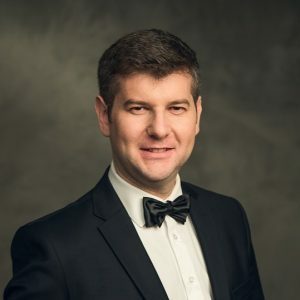 A graduator of the Key Executive MBA program at the Lviv Business School of the Ukrainian Catholic University, the owner of Samba Company, which specializes in sewing production, the Chairman of the Supervisory Board of the “Western Ukrainian cluster of the fashion industry”. Yurii has over 15 years experience in the banking system of Ukraine, in particular, with export operations of clients. A graduator from international export education programs in Germany, Norway and Canada. Participant in the development of the sectoral export strategy of Ukraine. CEO of the digital agency iplace for the past 7 years. During this period, the company has increased fivefold and has grown from a small media agency to a promising digital agency. iplace is included in the rating of the best companies according to VRK’s (All-Ukrainian Advertising Coalition) Advertising Choice and Effie Awards Ukraine. 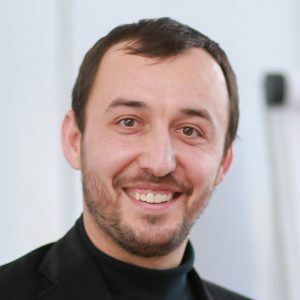 Bogdan has more than 10 years of experience in Internet marketing. His portfolio includes work with such brands as Watsons, METRO Cash & Carry, Philips, Ravak, KredoBank, Reckitt Benckiser, LG, Omega Pharma, Intertop and others. The author of articles on display advertising, personalization and marketing processes automation. Lecturer of Media Advertising Course at Digital Marketing Institute. Internet Marketing Specialist, Executive Director and Leading Specialist at Netocrat Communications, lecturer at the Hillel computer school. Alexander specializes in marketing and advertising in social networks. Worked with local business in Odesa, Kyiv, Almaty (Kazakhstan), in particular with projects of such companies as Into Sana, Veda, Solgar. Alexander’s team also promoted business events: Black Sea Summit, Innovation Week, Odessa Shipping Dinner. Anastasiya graduated from the International Christian University with a degree in business administration. Underwent the Global Village for Future Leaders of Business and Industry program in Lee Iacocca Institute in the US. 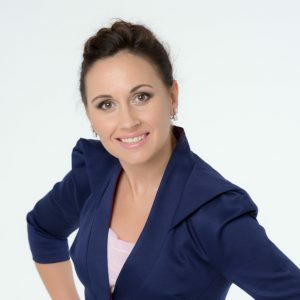 For the past 6 years Anastasiya has been a facilitator and Director for FranklinCovey Ukraine – a global training company created by Dr. Stephen MR Covey. In 2008-09 was Communications Director at an investment company DolphinStrategy. 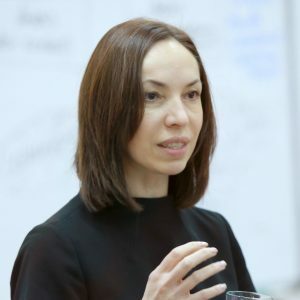 In 2004-2007, she was co-owner and Executive Director at RICH Strategy (RICH organized master classes of the world’s business gurus, such as Dr. Stephen Covey, Jack Welch, Dr. Michael Porter, Dr. Robert Kaplan, Scott Bedbury, Jonas Ridderstrale and others in Kyiv and Moscow). Alexander worked as chief editor and TV Ukraine and First Business Chanel, now he runs digital-direction in NGO Centre UA, and consults several other projects. And also – he is responsible for website and social networks for Public Civic Movement “Chesno”. Natalia has over 17 years of experience in the business. She has been standing at the head of a leading law firm Danevych.Law. Holding a position of HR Director of the investment company, she successfully implemented a strategy of a merger of two regional subdivisions with a single control center. 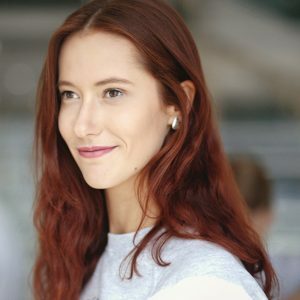 Within the period from 2004 to 2008, she was holding a position of HR Director of the representative office of Belgian company Materialise in Ukraine. During 4 years of work of the representative office, directed by Natalia, the team of the Kyiv Office increased by 10 times to 270 employees and she was recognized as the best employer among the IT companies in Kyiv. 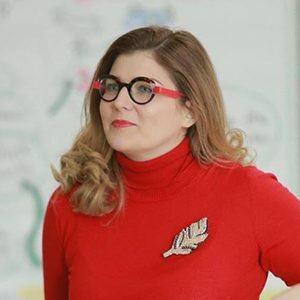 Natalia is a certified coach (Erickson University International (ICF), a trainer and author of the educational programs in organizational development. 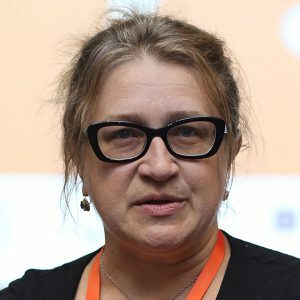 She is the author of the articles and practical materials written for the following publishing houses: Novoye Vremya, EBA, WOMO, Liga as well as a number of core HR publications. Since 2010 she has been an organizational development, leadership, and personnel management consultant. 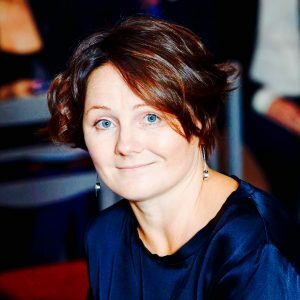 Lecturer of Executive Development Programs in Lviv Business School (LvBS) and Swedish educational project for business owners DYB (Develop Your Business). Expert in reorganization of sales system. Managing partner of Audit of Sales, the company that explores and develops models and sales strategies. 15 years of practical experience in sales. Over 50 conducted audits of sales, 11 reorganizations of sales and 5 created sales departments. The author of books on analysis and reorganization of sales ”The Audit of Sales”, “300 Sellers”. Head of Marketing Department of the Gorgany tourist equipment stores community. Along with being a marketing specialist of the all-Ukrainian advertising and reference publication of agrarian subjects “Agrosnab Chernozemya”. She received higher education in KNEU named after V.Getyman in marketing specialty, has an additional diploma of psychologist-teacher. Graduates of two marketing programs for Kyiv-Mohyla Business School, Nestle’s Trainee Marketing and Training Program; short-term product management program from L’Oreal. Major areas of expertise: strategic marketing, brand management. Yuri is facilitating a course “Financial Decision Making” at LvBS’ program MSc in Technology Management. He is a finance professional with almost 20 years of practical experience in multinational companies (Procter & Gamble, TUI Travel, etc.). For the past 5 years, he has been working as CFO for Bel Shostka Ukraine, a part of the French company Bel Group. 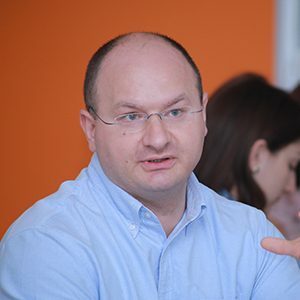 Yuri is a corporate trainer, specializing in “Finance for Non-Finance Managers” courses. Finance Director at TerraLink. Nestor is graduate of Lviv National University of Ivan Franko with specialty in International Relations. He worked as Head of IT, Ukraine at Group DF International. 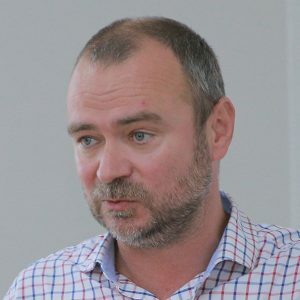 Chief Financial Officer at «Imperial Tobacco Volga» (2010-2012), Director of Information Technology in the “Top Book” (2009-2010), Head of Information Technology at “DSS” (2007-2008), Head of IT “Metinvest Holding” (2006-2007), Deputy CFO “MC Steel Works» (2004-2006), Factory Controller «Reemtsma» (Imperial Tobacco) (2002-2004), Team Leader Production Controlling «REEMTSMA» (2000-2002). 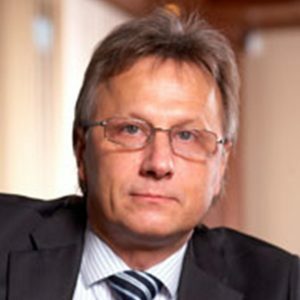 His prime interests and responsibilities are business development, IT strategy, ERP implementation management, infrastructure projects, business process automation, constant cost reduction, budgeting, systems and methods improvement, lean production, business process integration, IT systems post-merger integration. Prime goal: to become a leader and a change driver of my company in the field of information technology and beyond. Candidate of economic sciences. Ex-CEO at Companion Group [Companion, Strategies (Стратегії), Finansist (Фінансист), Professor Creid (Професор Крейд) magazines]. The developer and curator of Strategies (Стратегії) and Professor Creid (Професор Крейд) periodicals, an inspirational project “Restart” (Перезавантаження). Assistant editor of the series “You or by You. Strategies to Win”. Almost 20 years’ experience in teaching marketing courses, including at MBA programs and at kmbs. She has experience of working as marketing director, launching efficient business projects from scratch, repositioning existing products and brands, building up efficient marketing system at companies. She is the author of the first Total Marketing School by kmbs in Ukraine. Has written over 20 articles published in numerous scientific and business periodicals. Her case about juices “Smak” (Смак) was awarded “The Best Ukrainian Marketing Case” in 1999. Was employed as an advisor at McKinsey & Co. Moved for permanent residence in Ukraine in 2004. Was holding leading positions and was employed in boards of directors of Ukrainian companies. He has been in charge of strategy, mergers, acquisitions, and capital investment issues for 8 years. Managed the largest Ukrainian mergers and acquisition projects, as well as was engaged in capital attraction. He has experience in the mining and metallurgical complex, energy, agriculture, and food industry in multi-sector holdings. Graduated from Harvard Business School’s MBA. 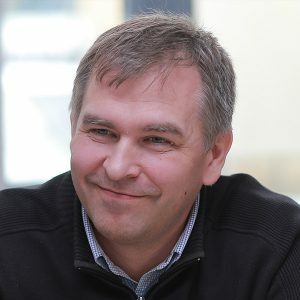 An expert with more than ten years of experience in Ukrainian (CIM Pocherk, 1+1 Studio) and international (Amrop Executive Search, DuPont, Mondelez International) companies in the FMCG industries, agribusiness, telecommunications, advanced technologies and services (executive search, PR, trainings). 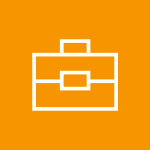 Andrii’s specialization is executive search and talent acquisition for top and critical positions for business in Ukraine and abroad (CIS, Central and Eastern Europe, regions of Europe, Middle East and Africa, etc.). 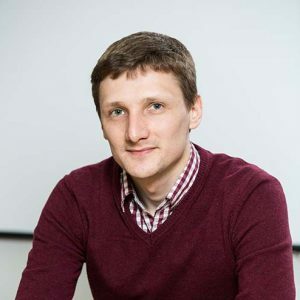 Andrii has experience in building and development of a recruiting and acquisition function at the regional level (Mondelez International, DuPont), and a successful experience in implementing regional and global projects aimed at transforming and improving HR processes. In addition, he provides HR counseling and training in the field of recruitment and career development. 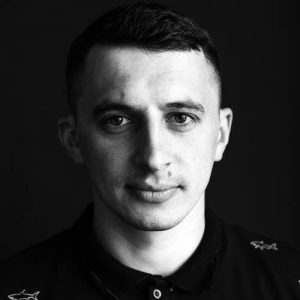 Andrii is a graduate of the Ivan Franko National University of Lviv and the National University of Kyiv-Mohyla Academy majoring in Philosophy and Practical Psychology. He has been a teacher at the LVBS since 2016. 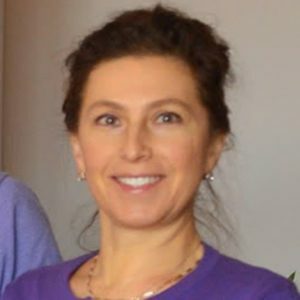 Iryna is a practicing certified business coach and the CEO at the Danone Academy. 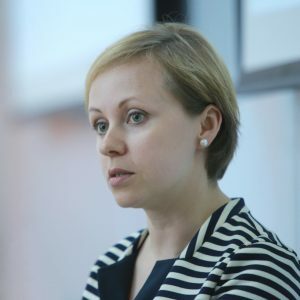 Before, she acted as a head of the department for corporate development and studies enhancement of the PJSC «Concern Galnaftogaz» and worked as a director of the Human Resources and Corporate Development office of the western macro-region of PJSC «Ukrtelecom». She possesses valuable experience in offering complex solutions in the realm of corporate development and personnel management, mainly in strategy development, policy determining, key efficiency indices development and implementation, corporate culture fostering, recruiting, adaptation, evaluation and professional development of staff, human resources development, etc. Iryna elaborated the educational programs and courses, acted as a strategic sessions moderator and as a consultant. Ex-Deputy Head at Presidential Administration of Ukraine, ex-general Director, Microsoft Ukraine. 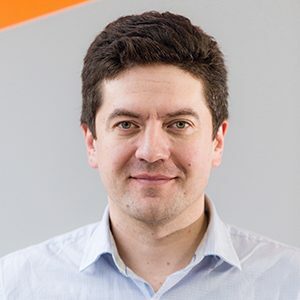 An entrepreneurial and respected professional and the technology industry veteran, Shymkivhas more than 17 years of leadership experience in the IT industry across Ukraine, the CIS and Western Europe. 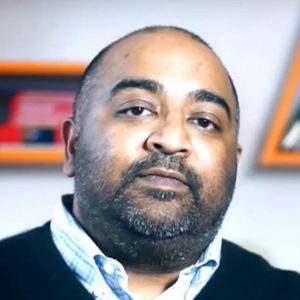 He joined Microsoft in 2007 as Enterprise and Partner Group Director and has been responsible for building long-term customer and partner relations and strategically developing the enterprise business. 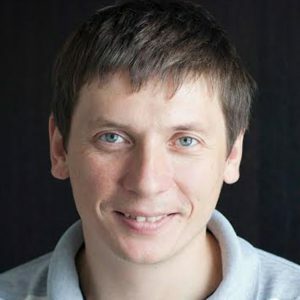 Shymkiv grew the enterprise business to a new level, gaining 60 percent year over year through increased customer and partner satisfaction, focusing on long term sustainable business, organization and people development, driving sales excellence, and enforcing cross-group and cross country collaboration. 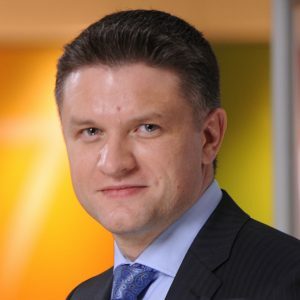 Prior to Microsoft, Shymkiv held the position of General Director at RedPrairie Eastern Europe, a global productivity solutions provider, delivering offerings focused on inventory, transportation and workforce, which he joined following its acquisition of ALTA Eastern Europe where he also held the position of General Director. At RedPrairie, he led general management, operational and strategic activities and business development reporting directly to the CEO and Board of Directors. 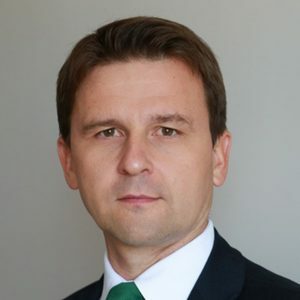 Previously, Shymkiv founded a company called Alfa Team Ltd in Kiev which was subsequently acquired by ALTA Eastern Europe, establishing a corporate, senior career path for him in the IT industry. 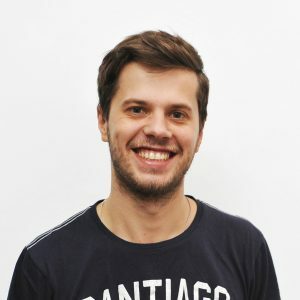 Passionate about technology and innovation, Dmitry graduated with honor from the Lviv State University “LvivskaPolitechnica” as System Engineer in Radio-Engineering, Electronics, Information technology and Telecommunications. In his spare time, he enjoys sport, history and art. Lviv restaurant owner, social activist, co-owner of «Kumpel Group». Marketing and Management Vice President at Raritan Computer. Vsevolod Onyshkevych worked at consulting firm that served IBM and many other well-known IT-company. Previously, he was involved in Internet-projects, in particular, somehow participated as a founder in the launch of four firms. Besides Vsevolod Onyszkiewicz is co-founder 3Dsize.com Inc, which is part of My Virtual Model and a developer of innovative technologies scan and calibration of scanners. He created several companies that specialize in designing and embedded software. Chairman of the Board of Directors of the Holding emotions enterprise “! Fest”. A graduate of Lviv National University in the name of Ivan Franko. He has an MBA from Kyiv Mohyla Business School. In 2004-2009 he worked as the director of the Universal Investment Group. In 2004-2006 he was the Chairman of the Supervisory Board of OJSC “Concern Khlibprom”. In 2008-2009 he was Member of the Supervisory Board of OJSC “Concern Galnaftogaz”. 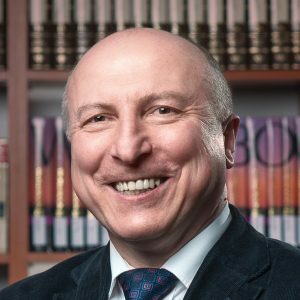 Since 2008 he is a Member of the Board of Lviv Business School Ukrainian Catholic University. In 2007 he co-founded Holding emotions “! Fest” which in Ukraine are 12 concept restaurants and cafes, including “Kryjivka” Tavern Museum “Kerosene lamp”, “The most expensive restaurant in Galicia”, “Masoch Café” festival restaurant ” Left coast “, Galician Jewish Tavern” Golden Rose “souvenir supermarket” L’pushpin “and Lviv chocolate workshop. Born in 1957 in Kyiv. Mr. Lavrenchuk is a graduate of Kyiv Economic Institute, Finance and Economy Department. In banking – since 1982. In different time occupied managerial positions in the Savings Bank of Ukraine, Ukrinbank and Raiffeisenbank Ukraine. Since October 2005, Mr. Lavrenchuk has been appointed Chairman of the Board of Raiffeisen Bank Aval. Volodymyr Lavrenchuk is the Chairman of the Forum of Leading International Financial Institutions. 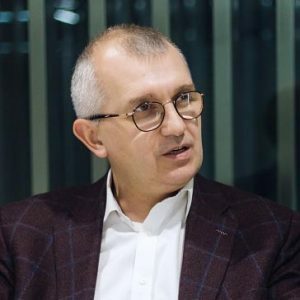 He is also a member of the Board of the European Business Association, the Supervisory Board of the International Management Institute (Kyiv) and the Trust Council of the Kyiv-Mohyla Academy. Dr. Terry Anderson joined the faculty of Troy University in January 1998. 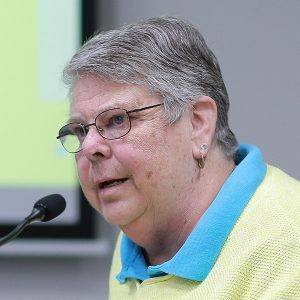 Prior to that, she worked in law enforcement for 21 years, first with the Federal Bureau of Investigation (1976-1983) and later with the Broward Sheriff’s Office (1983-1997). Her academic background is diverse. She earned undergraduate degrees from Stetson University (B.A. in Russian, 1972) and the University of Central Florida (B.A. in History, 1973). In addition, she has a degree in Statistics from the U.S. Department of Agriculture Graduate School (1982). She completed a Masters of Science in Management degree at St. Thomas University (1989). Finally, her Ph.D. in Public Administration was completed at Florida Atlantic University in 1997. Dr. Anderson has travelled extensively, including over 15 trips to the Republic of Georgia where she has taught numerous courses in an MPA program at the Georgian Institute of Public Affairs and consulted to develop and deliver seminars, including one in Organizational Management to President Saakashvili’s Public Affairs Staff. She has published two case studies and one book, entitled, Public Administration in Transition: Managing the Public Sector in an Emerging Democracy. Dmytro was born in Luhansk region, Ukraine. He earned his MBA from the Wharton School of Business, University of Pennsylvania. For over 7 years he lived and worked in the USA and Canada. Mr. Krepak served as Head of Marketing and Strategy for Regional Economic Development Division of Duke Energy in North and South Carolina. He taught such workshops as “Effective Project Management: How to Achieve Timely Results” and “Negotiations: Winning Strategy and Practice”. Currently he lives and works in Lviv. Vice President of Business Development at KM CORE. 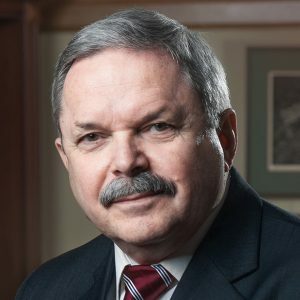 Bohdan Kupych, a Canadian, has worked in the information technology, telecommunications and technology industries for almost 30 years, 22 of which have been in Ukraine, Russia and CEE. Active in the international business community, was a founding member and the first President of the American Chamber of Commerce in Ukraine and Board Member for more than 10 years. 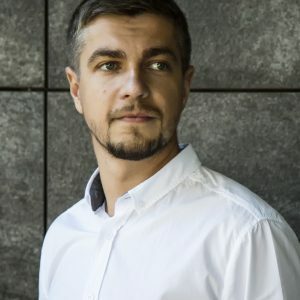 Today Bohdan is Vice President of Business Development at KM CORE a technology investment company, responsible for business development and a portfolio of investments in IT Services, datacenter, cloud computing, semiconductor design and nanotechnology based in Kyiv, Ukraine. De Novo, a portfolio company is the largest datacenter and cloud computing service provider in Ukraine. Bohdan led the investment process attracting Intel Capital and IFC as minority shareholders. Previously, was VP Business Development at Sitronics, the largest high-tech company in the CIS and CEE and a key member of the IPO team, successfully listing the company on the London Stock Exchange in 2007. Previously held positions as CEO and VP Business Development at Kvazar-Micro Corp., Chief Marketing Officer at UMC, the leading mobile operator in Ukraine, Country Director at Digital Equipment Corporation, the first major international IT company to enter Ukraine. Previous to moving to Ukraine, Bohdan worked in business development and sales at Digital Equipment of Canada. 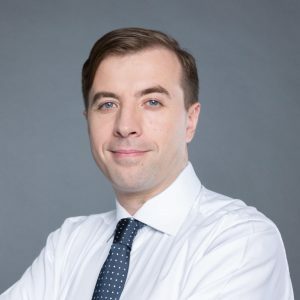 Bohdan studied Political Science at York University in Toronto, attended executive programs at INSEAD and Haas Schools of Business, holds a Graduate Diploma in Management and MBA from Athabasca University in Canada. 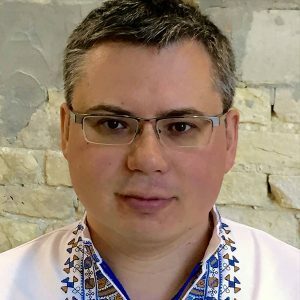 Bohdan is a mentor at several Ukrainian incubators and lectures on innovation and entrepreneurship at Lviv Business School. Board experience includes the advisory board of De Novo and the Supervisory Board of the Ukrainian Venture Capital Association. Consultations in leadership and personnel management. Recognized with a large number of awards by international professional market in the field of human resource management, leadership and talent development. 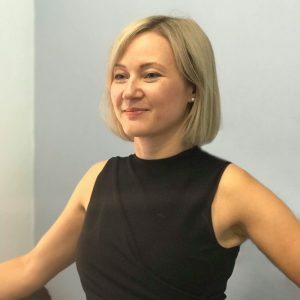 With over 20 years of experience in one of the world’s largest companies – Mondelez International, Oksana helps clients of Changers company to plan strategically leadership development and talent in their organizations, charges with invincible energy and desire to succeed. Mission – to motivate, to help leaders and HR professionals realize their full potential in the development team, inspire them to grow.